Yesteryear and today in one brilliant inner city location. 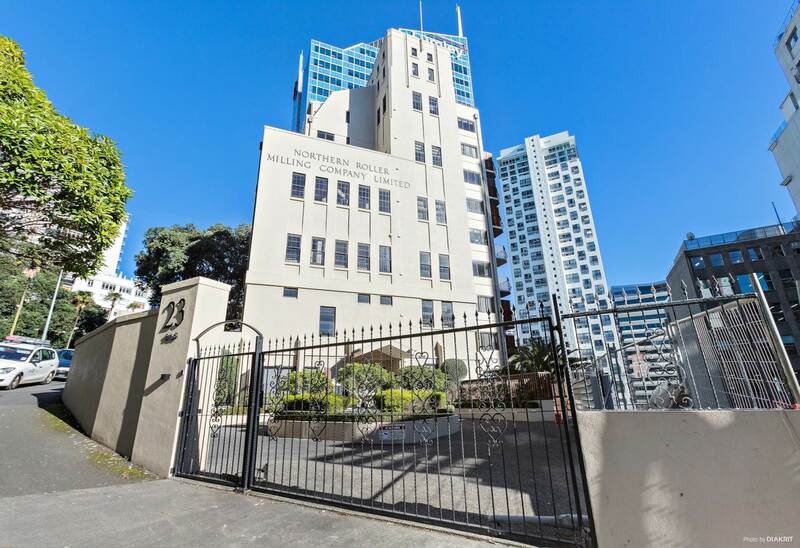 On Emily Place, this 59sqm, 2 bedroom apartment is a golden opportunity to secure residence in a very sought after location, with a short walk to the waterfront, the fashion and eateries of Britomart, Auckland's top universities and the best of what Auckland City has to offer. This Loft apartment is spread over two levels with all the living comforts on the entrance level and the comforts of both bedrooms upstairs. Added to all that the apartment has to offer, is a secure car park, gym, sauna and a quiet patio for common use where you can be outdoor and relax. The building is rich in history and was originally called the "Northern Roller Milling Co". The developer have kept the façade and some of the original features that even today as the Silo apartments, you can see the flour milling company's name still on the building. Our seller is looking toward their future and moving on to let the next owner make their own history in this lovely inner city residence. Come check this out, it's one you won't regret seeing.